Required for top and bottom of cabinet. Pocket for 1 pivot sliding door: To connect the outer side panel to the cabinet with a cabinet depth of 650 mm (25 9/16") order 1 set of 408.30.243. 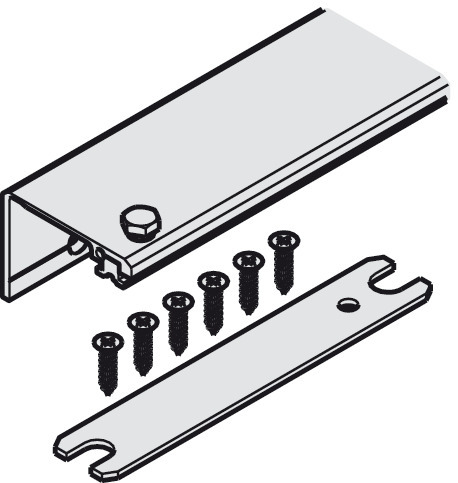 For cabinet depth between 651 - 900 mm (25 5/8" - 35 7/16"), order 2 pieces of 408.30.092.